This past winter I had the wonderful prevailge to join the Sunflower Quilters group in Marana AZ. They are a talented group, taking fabrics, inspiration and making quilts for Aviva. This group gives a quilt, bag and pillowcase to foster children. Upon leaving AZ for the summer I was given many scraps and this is my first completed quilt top. I loved the fish fabric and wanted to use it as a center block. I came across a “garden fence block” by Connie Kresin. The quilt is 55×55 with 10 inch unfinished blocks. Once I get the back together I will machine quilt it. My Singer Quantum machine died, so I got a replacement …Brother Cs6000i. The only thing I am missing is the automatic thread cutter. We will see how machine quilting will go. 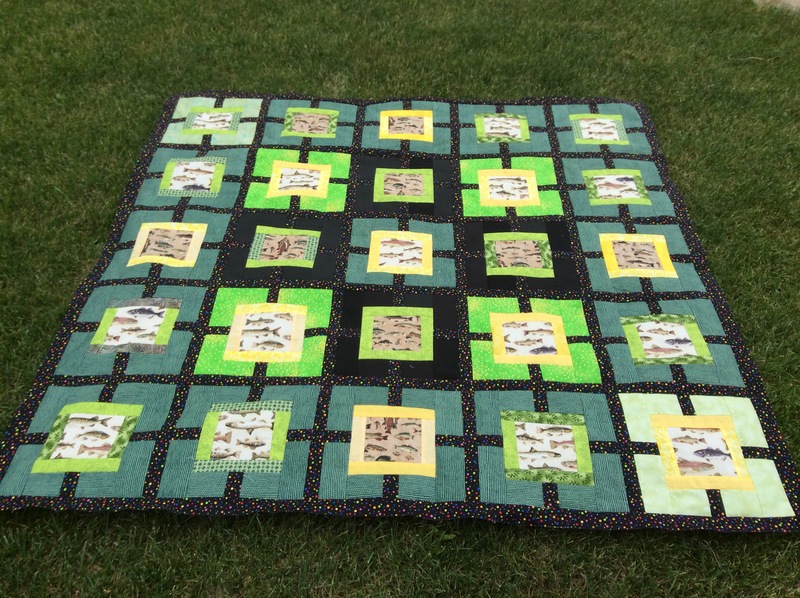 Sharing love of quilting,mixing in some family and faith.